"Travel with an old compass"
We're a new, boutique travel company - but we’re definitely not new to travel. 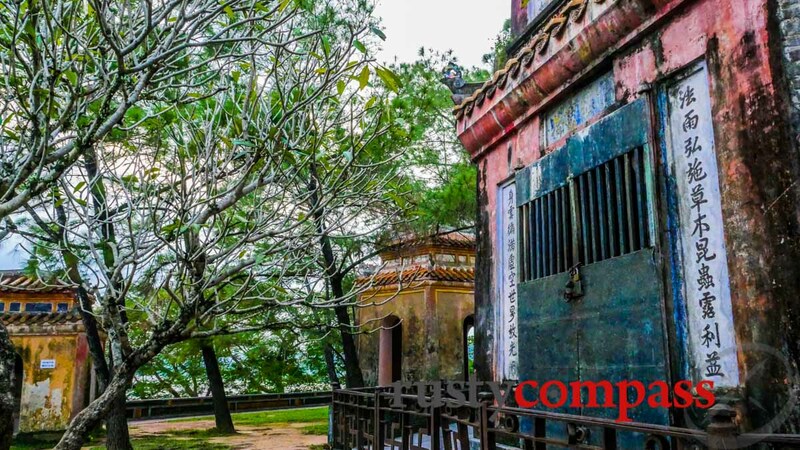 We run a heritage walking tour of Saigon focused on history and architecture and the emerging contemporary life of the city, and an alternative look at the Viet Cong tunnel complex at Cu Chi. We also operate a two week small group tour, Vietnam by the Book - created around 3 books. We love to dig deeper and do things differently. We care about history, art, culture, food, architecture, photography and the amazing contemporary life of the places we visit. If that sounds like you, check us out. Saigon - Tales of the City, is a half day heritage walking tour that tells the incredible story of Saigon through its bustling streets, and its most evocative historical sights. It's a unique Saigon experience of history, architecture, food and contemporary life. We've created an experience for travellers wanting to dig deeper than a standard city tour. Groups are small and personalised. Duong and Nhi are insightful guides for your walk. This tour explores Saigon’s history through its religious architecture - the temples, pagodas, churches and mosques that represent the traders, refugees and invaders who made the city their home over the centuries. The tour will take us into areas of the city that see few visitors. 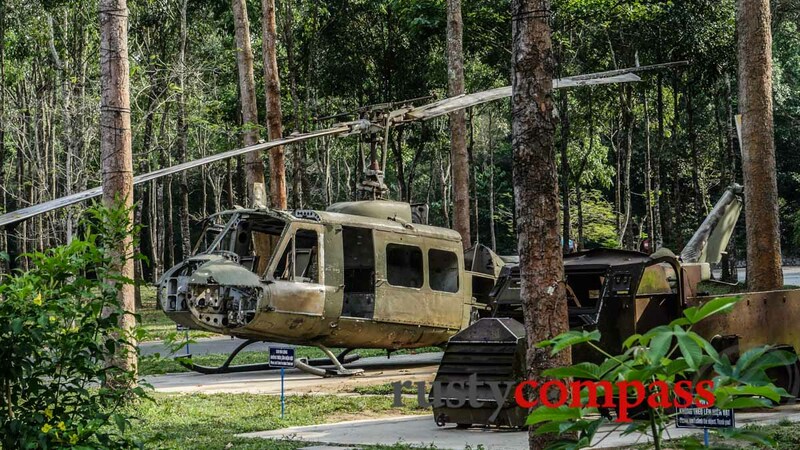 DO TO COMMITMENTS WITH OUR OTHER NEW TOURS, OUR CU CHI TOUR WILL RESUME OPERATIONS FROM 1 JULY 2019. APOLOGIES FOR ANY INCONVENIENCE. Our tour of the Vietnam War era Cu Chi tunnels 70kms from Ho Chi Minh City (Saigon) focuses on the history and solemnity of the site. Most tours treat the tunnels complex like a theme park. We’ve created a tour that looks at the events that occurred and the remarkable achievement of determination that the tunnels represent. For that experience, we start early. We leave Saigon at 6.30AM! Join Mark Bowyer on an unforgettable 15 day journey through the history, culture, cuisine and unique beauty of Vietnam, using the works of three authors to help us along our way. Graham Greene’s The Quiet American, Duong Van Mai Elliott’s Sacred Willow and Nguyen Qui Duc’s Where the Ashes Are, tell three different tales of Vietnam’s modern history. The insights of these authors will guide this unique travel experience. Our shared reading will help to tell the stories of the places we visit. We’ll travel and read beyond these books too. We use art as a guide for exploring the story of Saigon and Vietnam. Starting with the ancient history of southern Vietnam, we look at traditional Khmer and Cham pieces before exploring dynastic art, the art of the French colonial period, communist propaganda and battlefield art. We wrap up with a look at what’s happening in contemporary art. We’ll reference the art back to its context in the evolution of Saigon and Vietnam to the present. We have some old ideas about what makes great travel experiences. We’re interested in history, architecture, art, food – the stories – and the incredible changes sweeping our region. And we’d much rather be on the streets than sitting in a coach. We’re a boutique company in every sense – offering an in-depth walking tour of Saigon, special interest tours and customised travel advice. Our tours are designed by our founder, Mark Bowyer. Mark first set foot in Vietnam in 1990 when the country was opening its doors to the world. He’s been hooked ever since. Mark leads our “Vietnam by the book” Old Compass Travel Book Club tours which run a few times each year. They’re unique itineraries enhanced by Mark’s unique experience and interest in Vietnam. Mark publishes the travel website www.rustycompass.com. He’s been photographing, filming and writing about travel in Vietnam for decades. He’s fascinated by Vietnam’s incredible history, culture, language, architecture and the country’s economic development. Mark’s love of Vietnam imbues the tours he designs. Vietnam is a visual feast for travellers. All the photos on this website and on Rusty Compass were shot by Mark. Read more about Mark in this New York Times profile. Duong, leads our Saigon – Tales of the City tour and was born in the central province of Nghe An. Nghe An is one of Vietnam’s poorest provinces – but it’s also the proud home of Ho Chi Minh. She moved to Saigon as a child. Duong loves art, design and her country’s incredible history. She has worked in furniture design and production, architecture and in art galleries. Duong loves to share her stories, and the stories of her city. She co-owns Old Compass Travel and The Old Compass Cafe. 3rd Floor, 63/11 Pasteur St., Ben Nghe Ward, District 1, Ho Chi Minh City, Vietnam.